Organizing your content is a powerful way to bring older content to the surface to give it a greater shelf life and help your audience discover more relevant materials. Whether you are curating or creating content as a part of your content strategy, the organization of content plays a powerful role in adding context and making content evergreen. As more marketers publish more content, organization plays a greater role. Let’s say you curate 10 pieces of content a day. In a year, you may easily publish more than 3,000 pieces of content. Now that you have such a large volume, you can provide that content to your readers in interesting ways, through intelligent organization. Let’s take a look at a few outstanding ways that marketers are organizing their content online, with real world examples of what it looks like. 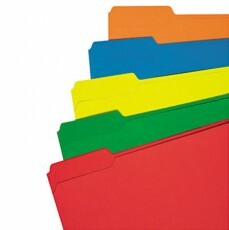 Tags are a common way to create a simple, non-hierarchical taxonomy of your content. Tags are simply keywords and phrases that are associated with each piece of content. For a single piece of content, they let the audience quickly understand the important concepts captured in the content. In aggregate, they provide a powerful way to spot recent trends by viewing the most popular tags. Grouping your related content serves two purposes: First, it helps reduce screen clutter by bringing together similar content. Secondly, grouping allows readers to quickly find different perspectives about the same issue. One example of well-organized content that leverages grouping is on Google News. For example, in the image below we can see how Bain Capital is portrayed by Fox News, Huffington Post, and other publications all in a single view. A great way to get people to consume additional content is to offer recommendations based on their previous content consumption patterns. Companies such as Netflix and Amazon employ sophisticated collaborative filtering algorithms that deliver personalized recommendations to every user. 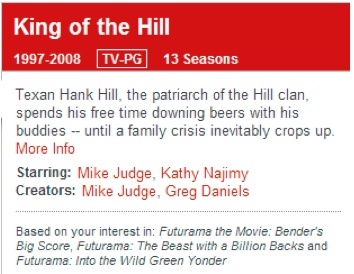 In the screenshot below, Netflix recommends that I may like “King of the Hill” based on my interest in several “Futurama” movies. As a marketer, there are two approaches you can take to provide similar recommendations. The first is to use readily available marketing products, such as Curata (disclosure: Curata is my company’s product) or plug-ins like AdKnowledge that can analyze thousands of documents on your blog or that you have curated or written in the past, and use an algorithm to offer recommendations. Another technique to better organize content that is commonly employed on e-commerce sites is to provide a faceted navigation that lets readers quickly drill down to just the content in which they are interested. In the screenshot above, found on newegg.com, you can drill into Electronics > TVs > LCD and continue to drill down by size, price, manufacturer, and so forth. Similarly, you can use this technique on your own content repository. For example, Verne Global, a customer of ours that curates content on data centers, provides a drill down of organizations found in the news, as seen below. 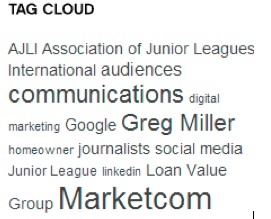 Simply clicking into one of these names leads you to more content about that organization. Google Trends displays trend histograms which illustrate the search volume and news reference volume of existing content over time. In addition, it has special algorithms that highlight salient stories that pertain to specific topics. 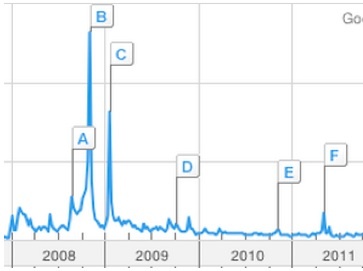 For example, the search volume for “Obama” is shown below, with letters that represent key events, such as his election in 2008. Highlighting trends through histograms is an easy way to capture a growing phenomenon within the content you have published. It also brings older content to the surface, helping readers to quickly rediscover your evergreen material. Sites such as Quora, Pinterest, and the New York Times are built on topic pages, to name just a few examples. With topic pages, readers can quickly view all the content pertaining to a specific topic on a single page. In addition, topic pages are great for long-tail search engine optimization. As a quick example, the Western Massachusetts Economic Development Council offers topic pages on its curated site, so visitors can quickly view content on any business leaders and read their biographies. A fun way to visually organize your content is through topic maps. 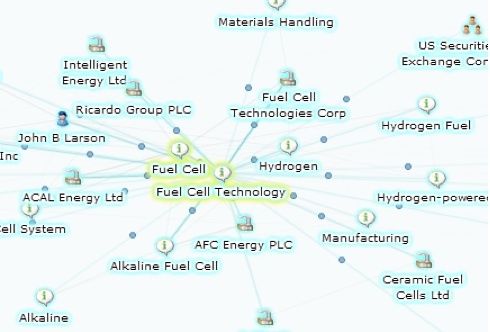 In the screenshot from Silobreaker below, you can see how content is organized around the topic of fuels cells, which allows viewers to quickly navigate to related concepts and content. Though there are not many marketing use cases of topic maps, they can be a fun way to keep your audience engaged with your content. As content marketing — and content curation — continues to grow, marketers will be publishing more and more content on behalf of their organizations. Content curation is a three-part process of finding relevant content, organizing it, and sharing it to a broader audience. Often, most of the emphasis is placed on finding or sharing interesting content, and the organization aspect gets neglected. However, when done correctly, smart organization strategies can help you get more mileage out of your content, and help you engage and inform your audience more successfully. Editor’s note: Curata is a Content Marketing Institute benefactor, which is a paid supporter of our website and content creation activities. Pawan Deshpande is the founder and CEO of Curata, a Boston-based company offering content marketing software used by thousands of marketers around the world. He spearheaded the first-ever panel at SxSW on Content Marketing in 2011, and was a 2014 Finalist for MarketingProfs B2B Marketer of the Year. Pawan was an engineer at Microsoft and Google where he was awarded patents in social networking and machine learning. He previously attended MIT where his graduate thesis won top departmental and international awards. You can contact Pawan via Twitter @TweetsFromPawan or on LinkedIn. Interested in the state of the content marketing industry in 2016? Download Curata's 2016 Content Marketing Staffing & Tactics Study.